Indianapolis, Indiana – Attorneys for Plaintiff, National Federation of Professional Trainers, Inc. (“NFPT”) of Lafayette, Indiana, filed suit in the Northern District of Indiana alleging that Defendant, Carrington College, Inc. (“Carrington”) of Sacramento, California, infringed its rights in United States Copyright Registration No. TX 8-515-798 (“NFPT 0241 Exam”). Plaintiff further alleges misappropriation of trade secrets, breach of contract, and fraud. Plaintiff is seeking damages, profits received from unauthorized copying and distribution of the copyrighted work, attorney’s fees, costs, and injunctive relief. NFPT creates and administers examinations for the certification of personal trainers. Their certification programs have been accredited by the National Commission for Certifying Agencies since 2005. Carrington has utilized NFPT’s examinations and educational materials as a part of its Physical Therapy Technology Program. At the end of the course, students were able to sit for the NFPT certification exam for the opportunity to become a certified personal trainer upon obtaining a “passing” score. Carrington administered an NFPT examination December 10, 2015 via their proctor, Mr. Phillip Schauer (“Schauer”). As proctor, Schauer had to sign a confidential disclosure agreement, which included maintaining the confidentiality of the exams and not duplicating any of the testing materials. The December 10, 2015 exam produced extremely abnormal results for the students’ test scores. Of the twenty-six candidates, fifteen had identical or similar response strings while the remaining candidates response strings differed by a maximum of four responses out of 120. All of the candidates obtained a “passing” score. Due to the abnormalities in the results, NFPT voided the results and required all candidates to retake the examination with new questions on August 26, 2016. Only six candidates chose to retake the exam and of those, only two obtained a passing score. Indianapolis, Indiana – Attorneys for Plaintiff, Re-Bath, LLC, of Phoenix, Arizona originally filed suit in the Marion Superior Court alleging that Defendants, Alternative Construction Concepts, LTD. d/b/a Re-Bath Designs of Indianapolis, of Indianapolis, Indiana, Steven O’Reilley of Indianapolis, Indiana, and Debo rah O’Reilley of Indianapolis, Indiana of infringing trademark rights. Plaintiff is seeking a temporary restraining order, preliminary and permanent injunction and all other just and proper relief. Defendant is a franchisee of Plaintiff’s Phoenix-based business. 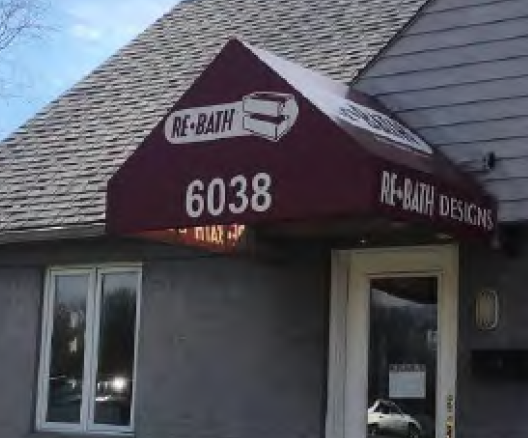 As part of the franchise agreement, Plaintiff allowed Defendant to use its trademarks, goodwill, concepts, operating systems, confidential information, method of operation and technical expertise and know-how to operate a bathroom remodeling business. Indianapolis, Indiana – Plaintiff Heartland Consumer Products LLC of Carmel, Indiana filed an intellectual property lawsuit in the Southern District of Indiana alleging trademark and trade dress infringement, trademark dilution and unfair competition under the Lanham Act, as well as related wrongdoing under the Indiana State Trademark Act, the common law of the State of Indiana and the Indiana Crime Victims Act. The intellectual property at issue pertains to Splenda®, a Heartland trademark under which it offers sucralose, a low-calorie sweetener. Trade Secret Law: Defend Trade Secrets Act Creates Federal Right of Action for Trade Secret Misappropriation. Earlier this month, the Defend Trade Secrets Act (“DTSA”) became federal law. The DTSA grants the owners of trade secrets the right to sue in federal court for misappropriation of a trade secret that is “related to a product or service used in, or intended for use in, interstate or foreign commerce.” Previously, protection of trade secrets was offered only under state law, with most states having adopted a version of the Uniform Trade Secrets Act (“UTSA”). The new federal law will supplement, not replace, those state laws. The DTSA also includes a provision permitting the entry of an injunction prohibiting a person from accepting employment if there is a sufficient threat of misappropriation of a trade secret. In lesser cases, the individual may begin employment but will be subject to conditions enunciated by the court. Washington, D.C. – The Defend Trade Secrets Act (“DTSA”) recently became federal law. This statute creates a federal right of action for misappropriation of trade secrets. Among the provisions of the DTSA are new protections for whistleblowers. Under the DTSA, immunity is granted to persons who disclose a trade secret to a government official or attorney for the sole purpose of reporting or investigating a suspected violation of law. This immunity covers both civil and criminal liability under either federal or state trade secret law. The DTSA also provides that trade secret information may be used in litigation by an employee who sues an employer alleging retaliation for having reported a suspected violation of law. The law requires that certain steps be taken during litigation to prevent disclosure of the trade secret. 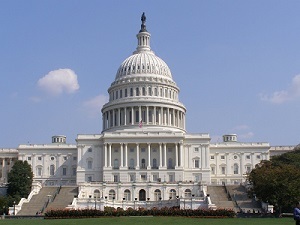 Washington D. C. – The United States Senate Judiciary Committee approved S. 1890, the Defend Trade Secrets Act (“DTSA”). If enacted, the bill would create a private cause of action in the federal courts for trade secret misappropriation. (B) the information derives independent economic value, actual or potential, from not being generally known to, and not being readily ascertainable through proper means by, the public. The DTSA would be the civil counterpart to the Economic Espionage Act of 1996, a criminal statute that uses the same definition of “trade secret” as the DTSA. This would be the first time that individuals would have a private, federal right of action for theft of trade secrets. Presently, those seeking redress in civil court for theft of trade secrets must resort to claims based on state law or seek to have a claim for injunctive relief filed by the Attorney General. The DTSA, if enacted, would address the current patchwork of state laws protecting trade secrets. While those state statutes are similar, with many states having enacted some form of the Uniform Trade Secrets Act (“UTSA”), they are not identical. The DTSA does not preempt any other law. Thus, where a state’s law governing trade secrets is more generous, a plaintiff retains the ability to sue under that state law also, either in state court or as a pendant claim in a federal lawsuit. The relief offered under the DTSA contains such remedies as monetary damages, including royalty payments, reimbursement of actual losses caused by the defendant and trebling of a monetary award where punitive damages are found to be appropriate. Injunctive relief and attorneys’ fees may also be recoverable. Indianapolis, Indiana – An Indiana copyright lawyer for Defendant Wrightspeed, Inc. of San Jose California filed a notice of removal in the Southern District of Indiana on the basis of both federal-question jurisdiction and diversity-of-citizenship jurisdiction. Plaintiff Precision Rings, Inc. of Indianapolis, Indiana had filed its lawsuit in Marion County Superior Court seeking declaratory relief, injunctive relief, unspecified damages and attorney’s fees. Among Plaintiff’s contentions was the breach of a nondisclosure agreement. Included in this alleged breach was the misappropriation of Plaintiff’s trade secrets, which involved the use or disclosure by Defendant of certain copyrighted drawings that Plaintiff had registered with the U.S. Copyright Office. Defendant Wrightspeed contended that federal-question jurisdiction was proper and asked that the federal court in the Southern District of Indiana hear and decide all further matters in the litigation. Defendant asserted that the complaint arose under copyright law because Plaintiff’s complaint included a claim that would require construction of the Copyright Act. Consequently, subject matter jurisdiction rested exclusively in federal court. Defendant Wrightspeed also asserted that diversity-of-citizenship jurisdiction was a proper basis for the Indiana federal court to hear the litigation. The parties were completely diverse, it stated, with Plaintiff being a citizen of Indiana and Defendant being a citizen of both Delaware and California. Defendant contended further that, considering the potential damages, fees and costs, the amount at stake was well in excess of the $75,000 threshold necessary for diversity-of-citizenship jurisdiction. Evansville, Indiana – Responding to a complaint filed in Indiana state court by Indiana copyright attorneys, a defense lawyer filed a motion to remove the lawsuit to a federal court in the Southern District of Indiana – Evansville Division. Plaintiff Professional Transportation, Inc. of Evansville, Indiana (“PTI”) is the former employer of Defendant Robert Warmka of Savage, Minnesota. Warmka worked for PTI from September 2012 to December 2013. PTI contends that this employment was governed in part by a trade-secrets agreement. Subsequent to leaving employment with PTI, Warmka began employment with Minnesota Coaches Inc. (“MCI”) d/b/a Crew Motion, a competitor of PTI. PTI filed this copyright lawsuit in Vanderburgh Superior Court alleging that Warmka infringed its intellectual property by his use of Plaintiff’s copyrighted driver’s manual within MCI’s driver’s manual. PTI contends that multiple sections of PTI’s manual were reproduced nearly verbatim in MCI’s manual. PTI claims that this manual was filed with the U.S. Copyright Office “on or before 2012.” Plaintiff further contends that Defendant appropriated Plaintiff’s confidential material and trade secrets in violation of a trade secret agreement executed by both parties in 2012. Plaintiff alleges loss of business and profits and seeks injunctive relief and monetary damages. Copyright attorneys for Warmka filed a notice of removal, stating that federal subject-matter jurisdiction was proper on the basis of both federal-question jurisdiction and diversity-of-citizenship jurisdiction. Los Angeles, California – Chinese professors have been accused of having stolen valuable technology from Avago Technologies and Skyworks Solutions to benefit a university in the People’s Republic of China. On May 16, 2015, Tianjin University Professor Hao Zhang was arrested upon entry into the United States from the People’s Republic of China (“PRC”) in connection with a recent superseding indictment in the Northern District of California, announced Assistant Attorney General for National Security John P. Carlin, U.S. Attorney Melinda Haag of the Northern District of California and Special Agent in Charge David J. Johnson of the FBI’s San Francisco Division.